Single Framed House Number - - individually framed house numbers for you to arrange as creatively as you desire. Made in USA. 1/8" thick solid brass frames each cut-out house number. Select one of five hand-applied patina finishes to coordinate with your mailbox or porch decor: new verde, old penny, architectural bronze, warm brass, or textured black. 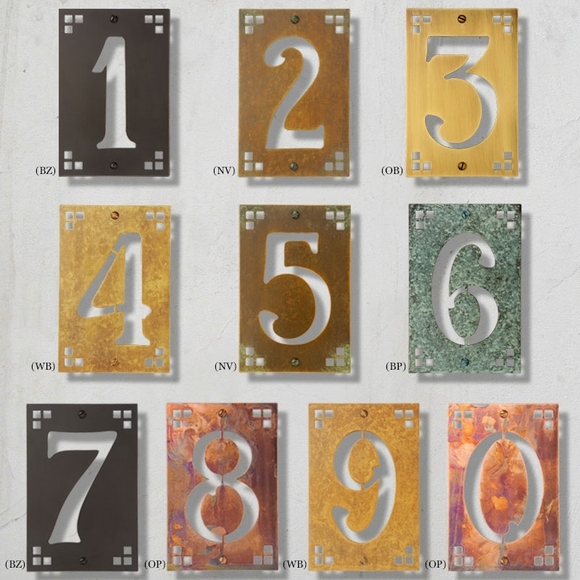 Individual house address numbers in five patina finishes.